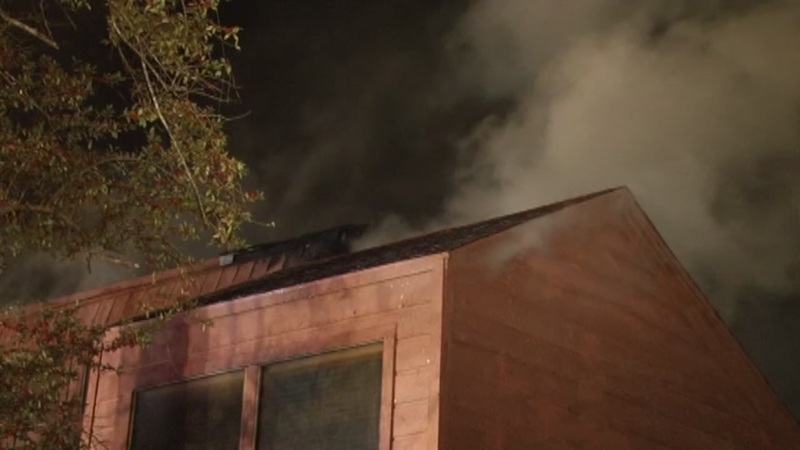 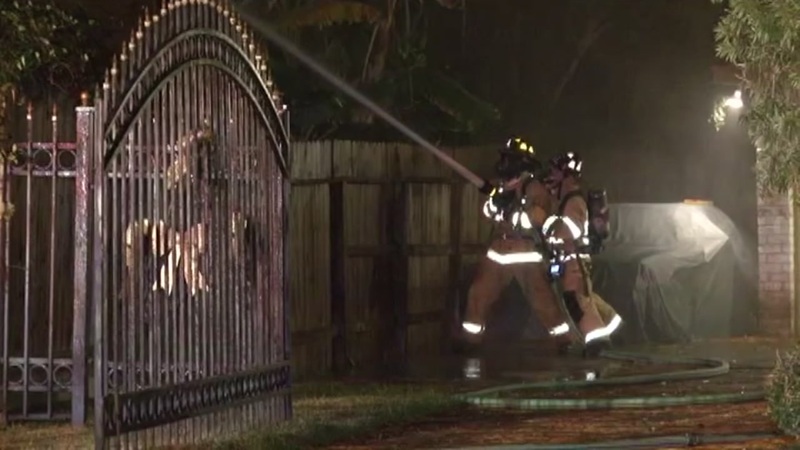 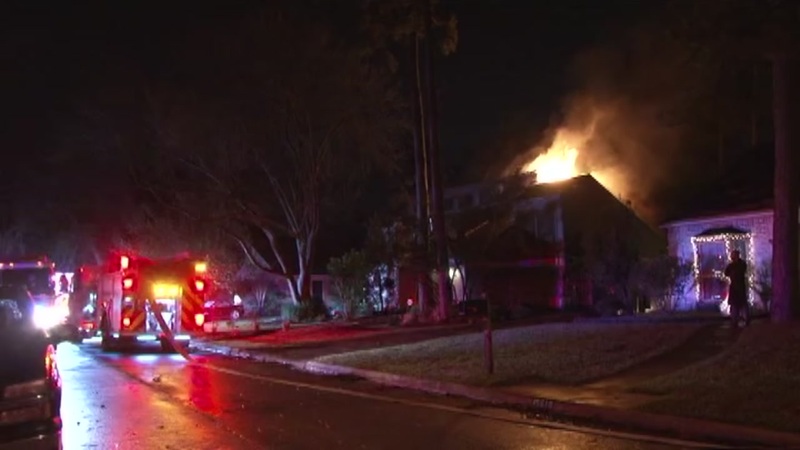 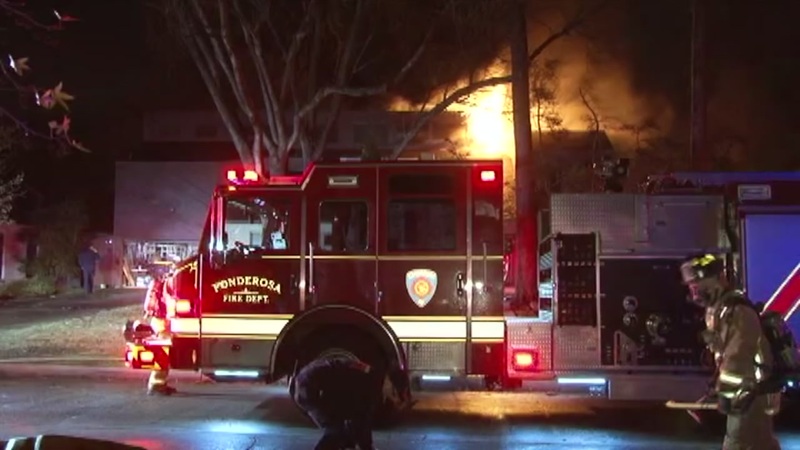 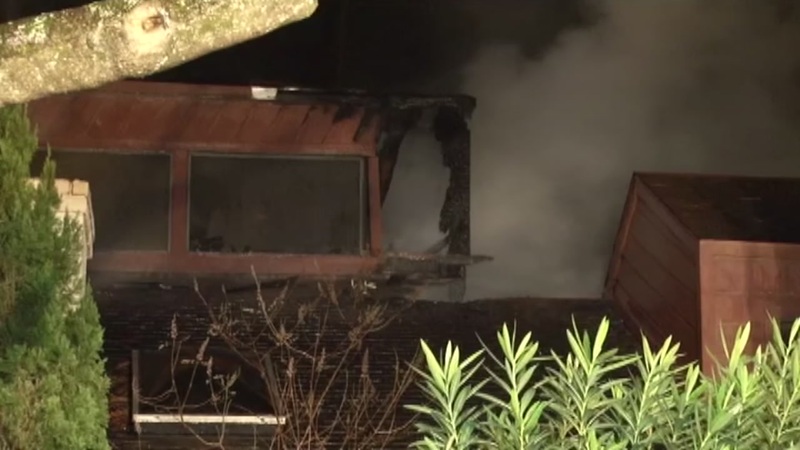 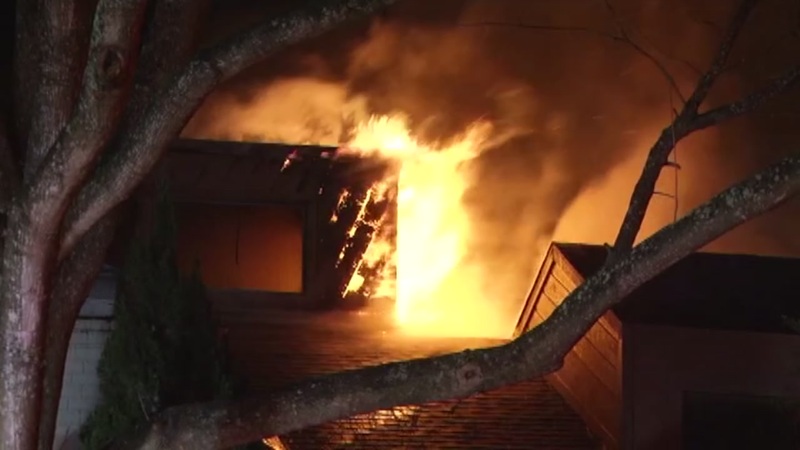 Two people and a dog were forced out in the cold after their home went up in flames in north Houston, but fortunately no one was hurt. 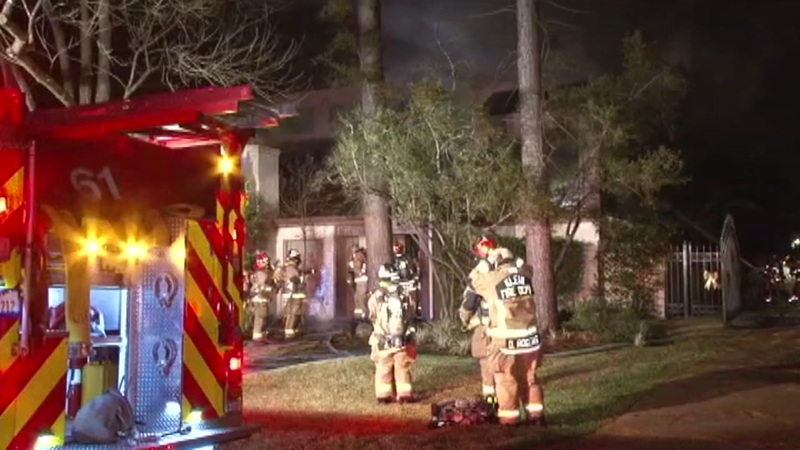 The fire broke out just before 1am at a home on Ripplewind Lane at Creekbriar Drive in the Olde Oaks subdivision. 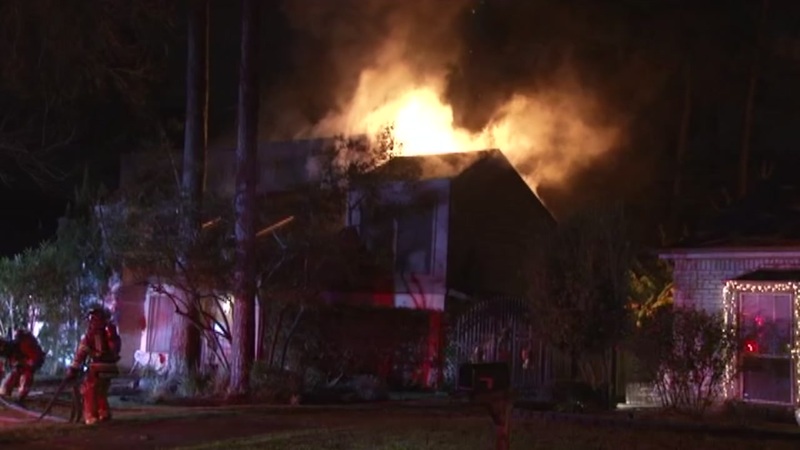 When firefighters arrived, they found neighbors watching as flames shot through the roof of the house.